Today marks two years since I gathered with approximately two dozen of my closest friends who were women with MG. Together we began the first support group specifically for women with the rare autoimmune neuromuscular disease called Myasthenia Gravis. We now have members from all around the world. During this time, two members of our group have passed away. During the same period of time we’ve been aware of the passing of 34 members of the wider online MG community. Every one of these losses have hit us all hard. Some we knew well, others we only knew in passing from other groups, etc. But each loss is like a ripple that spreads across the MG community as we all mourn any loss of a fellow fighter. The reason I mention these losses, is because there are still far too many misinformed websites stating that MG is no longer a deadly disease. Treatments have advanced tremendously and MG is not as deadly as it once was, especially when people have access to the necessary treatments. But losses still happen. Hospitalizations requiring critical care are not at all uncommon. Myasthenia Gravis, without proper medical care, is still every bit as deadly as it ever was. And even with proper medical care there are still losses. It also should not be forgotten that every single treatment for MG that is currently available comes with serious potential side effects, including everything from weight gain, bone loss, death due to infection, cancer, etc. This is not a simple disease that should be disregarded as something that people take a pill for and everything is all better and life goes back to normal. That is not a realistic or factual description for most of us. Having said that, we all live the fullest lives our bodies will allow us to live and there are exciting scientific discoveries being made all the time. I love to remind people that every day that we beat this disease, is another day we live closer to there hopefully being a cure. Awareness is important for so many reasons. Support of women with Myasthenia Gravis has always been the primary goal of WWMG. But awareness is also very important to us as well. We need people to understand. We need medical professionals, family members, and even strangers to understand at least some of our basic needs. The need for awareness and increased understanding is why we run this website. 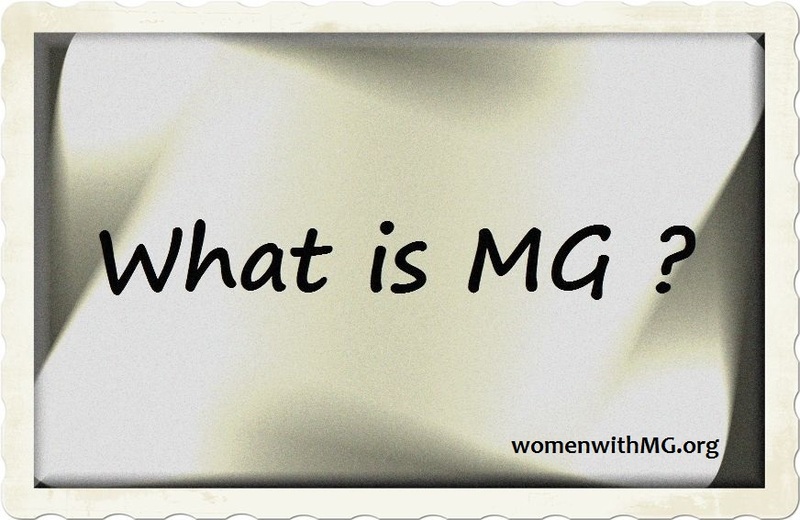 Our page “MG in the Simplest of Terms” has now been shared over 10,000 times on Facebook alone. 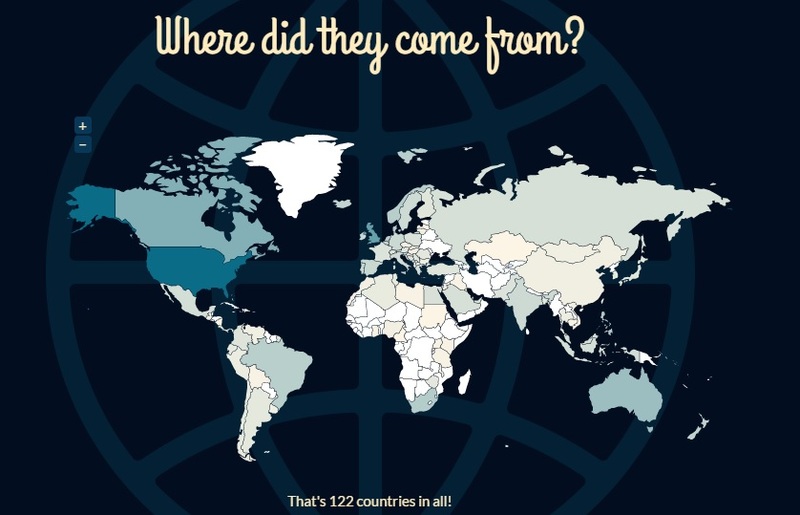 During just 2014, this website was viewed over 43,000 times in a total of 122 countries. It is my hope that we have touched people’s lives in a beneficial way and that we have brought about positive change in the lives of individuals around the globe. I think if we’ve helped one person, then the past two years have been worth it all. Here is hoping that 2015 will be a healthier year for all people living with Myasthenia Gravis, while we fight this fight and we hope for a cure! ← Previous Previous post: Don’t Discourage. Choose to Encourage! Wow Debbie, congratulations. Thank you for all you have and will do in the future for those of us living with MG as well as our families. I wish I had a hat to take off to you! Hunny, you rock! Very Well Said! Thank you. 2015 is our year! We will have new research discoveries with helping us with MG. And teaching those who are new to MG, including caregivers. New treatments, prednisone reduction, etc. Wishing for the best year of the betterment of MG.